Somewhere between the immersive institutional portraiture of Frederick Wiseman and a knowing, Broad City-style spoof of gentrified Brooklyn sits Thomas Boothe’s Food Coop, offering an engaging and often humorous look at Park Slope’s socialist supermarket. Here, 16,000 members from across New York’s boroughs work three hours a month to save big on their grocery bills. Boothe provides a comprehensive portrait of the wildly successful enterprise, delving into the details of its staffing and dispute resolution procedures, the high quality and typically local provenance of its produce, and the debates concerning the pros and cons of plastic bag surcharges and other issues, including theft. Never losing sight of the bigger picture, Food Coop situates these minutiae in the context of a market-based food system that leaves many behind, making a compelling case for the viability of community-operated alternatives. I am American and I live in Paris. I have long-time friends in Brooklyn who are members of the Park Slope Food Coop who took me for a visit. The Coop has an atmosphere that is very energetic and not at all commercial. I thought it would be nice to make a documentary about this phenomenon, because it is still a phenomenon. When you discover a cooperative like this, you realize how much you are used to entering shopping areas where you are literally attacked by marketing. And there, the weight of marketing is totally absent. I believe this is not an atmosphere different , it's just a mood natural which is unveiled by the Coop, Because all commercial and capitalist sides have been removed. We're not used to that at all. Cat Mills is a graduate of the University of British Columbia, holding a Bachelor of Fine Arts in Film Production. After graduation, she was selected as 1 of 20 filmmakers nationwide to participate in the CFTPA's Producer Internship program, where she worked in development with Vancouver company Anagram Pictures. Itchy feet soon brought her to London, England, where she spent several years working in the international film sales office of Summit Entertainment. Seeking an escape from 9-5pm desk work, she dove into the world of strange festivals as a side project, starting a website/ webseries called Wicked and Weird Around the World. Since inception, she has toe wrestled, crab raced and worm charmed, filming in Australia, Canada, Malta, the UK and Lithuania. Deciding that film sales wasn't her scene, Cat moved to the sunny island of Malta where she developed her writing, produced corporate videos and spent over a year shooting for a documentary on irregular migration produced by a local NGO. She was launched in rhibs and helicopters, crossed the Atlantic Ocean and interviewed asylum seekers from across Africa and the Middle East, learning about their journeys and struggles. Cat returned to Canada in early 2015, setting up camp in Toronto. In 2016 she was selected as 1 of 8 emerging filmmakers to participate in the documentary Channel Doc Accelerator program at Hot Docs. FIXED! won first place at the 2016 Hot Docs Short Film Pitch Competition. She is currently in production on a short documentary called Big Men, Small Dogs, funded by the Toronto Arts Council, and a feature film about Bob Wagner, the world's oldest Air Guitarist. 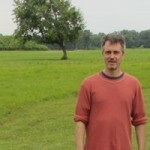 Paul M. Taylor is the executive director of FoodShare Toronto, Canada’s largest food security organization. 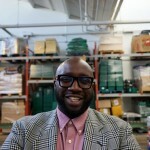 Before taking the helm of FoodShare, Paul was the executive director of two community based organizations in Vancouver. He also served as the Chair of the BC Poverty Reduction Coailiton, was on the board of the Canadian Centre for Policy Alternatives (BC Office) and a member of the Raise the Rates BC Steering Committee. He currently serves as the Vice Chair of Food Secure Canada. After three successful decades working in the motion picture industry, husband and wife team Arlene Hazzan Green and Marc Green co-founded The Backyard Urban Farm Company, an award winning, organic vegetable landscaping business that builds, installs, plants and maintains edible gardens in homes, schools and businesses in the Greater Toronto Area. 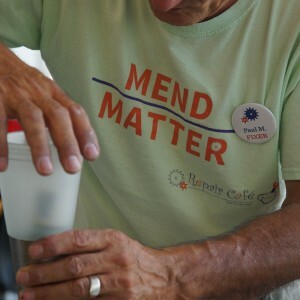 Their mission is to ignite people’s passion for growing their own food and to reconnect them with nature. Arlene Hazzan Green is an entrepreneur, avid gardener and Emmy award winning television director and writer. 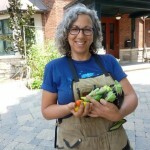 She currently sits on the steering committee of Toronto Urban Growers and is the volunteer community garden coordinator of The Westlodge Community Garden in Parkdale. 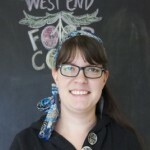 Leanne Unruh became involved with the West End Food Co­op in 2012, shortly after moving to Toronto. She began volunteering at the Sorauren Farmers' Market (operated by WEFC) in an effort to find community while working on a master's degree at OCAD University. She has been a staff member at WEFC for four years, and a worker representative on the board of directors for three of those years. Leanne is also a student at York University, where she is pursuing a PhD in Social and Political Thought. Her research focuses on art and activism, and she will be looking at artist co-ops in Canada for her dissertation. Seeking adventure and refuge in nature as a child has inspired much of MJL’s environmental teaching and not-for-profit work. 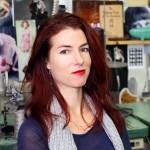 MJL currently teaches at George Brown College, and has previously taught at York University. 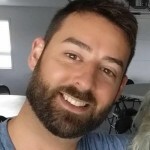 He is a Doctoral Candidate at Osgoode Hall Law School, and has completed the Master of Laws at Osgoode, and Master of Environmental Studies at York U. Among other roles, MJL produces and moderates the Fest Forum at Planet in Focus.